[float=left] [/float] Microsoft said it had reached an agreement to acquire the handset and services business of Nokia for about $7.2 billion, in an audacious effort to transform Microsoft’s business for a mobile era that has largely passed it by. Late Monday, Microsoft and Nokia said 32,000 Nokia employees would join Microsoft as a result of the all-cash deal, which is meant to turn the Finnish mobile phone pioneer into the engine for Microsoft’s mobile efforts. 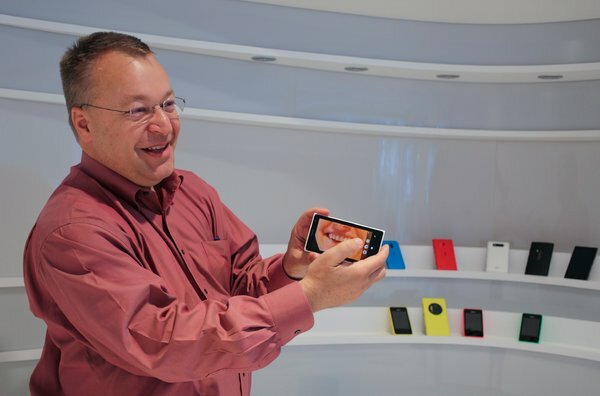 Stephen Elop, the former Microsoft executive who was running Nokia until the deal was signed, will rejoin Microsoft after the transaction closes, setting him up as a potential successor to Steven A. Ballmer, Microsoft’s chief executive. Mr. Ballmer has said he will retire from the company within 12 months. The deal, which was first broached between Microsoft and Nokia executives in February, is the latest transformation of the 150-year-old Finnish company. Nokia began life as a conglomerate making products like rubber boots and car tires before reinventing itself in the 1980s as the world’s largest manufacturers of cellphones. Nokia’s once mighty position in the mobile phone business has been lost, as the industry shifted to the era of the smartphone. Samsung and Apple divide nearly all of the profits in the global smartphone business now. Nokia’s fall has been most spectacular in Asia, a region that its phones once dominated. As recently as 2010, the company had a 64 percent share of the smartphone market in China, according to Canalys, a research firm. By the first half of this year, that had plunged to 1 percent. Risto Siilasmaa, Nokia’s interim chief executive, said on Tuesday that the sale of the handset business was the logical step in the company’s evolution but still pulled on his heartstrings. “Selling a business is sometimes the right cause of action, but it’s emotionally complicated,” Mr. Siilasmaa said. At a cellphone store in central London on Tuesday, Geoffrey Widdows, a 33-year-old engineer, said he had once been a devoted Nokia fan but now preferred Android phones because of the greater choice of apps available on phones from companies like Samsung and HTC. A megadeal between Nokia and Microsoft is something that pundits and analysts have speculated about for years, after Mr. Elop joined Nokia and signed a pact with Microsoft in February 2011 to standardize the software company’s Windows Phone operating system. The cellphone fortunes of the two companies have become closely intertwined since that agreement, but the relationship has done little to turn either company into a leader in the mobile business. Handsets running Windows Phone accounted for only 3.7 percent of smartphone shipments in the second quarter, according to the technology research firm IDC. Nokia remains the second-largest shipper of mobile phones in the world, after Samsung, but that is largely because of lower-end feature phones, from which consumers are moving away. Nokia is no longer among the top five makers of smartphones. A big question is whether Microsoft and Nokia will succeed as one company where they have not as close partners. Mr. Ballmer said Microsoft and Nokia had not been as agile separately as they would be jointly, citing how development could be slowed down when intellectual property rights were held by two different companies.